EVERETT, Wash. – The Everett Silvertips (@WHLSilvertips), proud member of the Western Hockey League and seven-time U.S. Division champions, announced today that forward Riley Sutter has been recalled to the Hershey Bears of the American Hockey League. 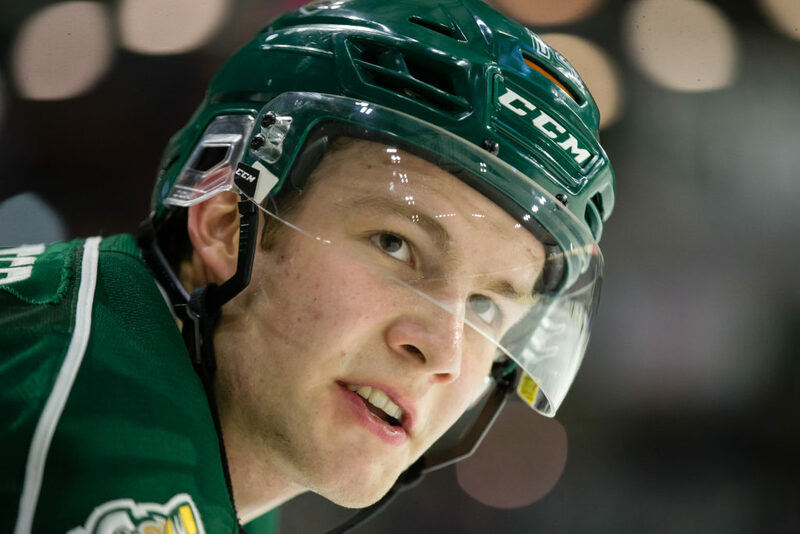 Sutter, 19, finished his fourth full season with the Silvertips by earning 41 points in 38 games, additionally posting 12 goals and a +12 rating while missing 37 straight games due to injury, returning for Game 3 of the second round of the WHL Playoffs against Spokane and posting an assist in three playoff games. 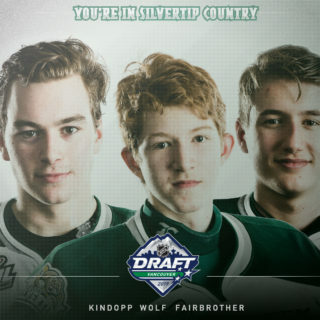 The native of Calgary skated for Team WHL at this season’s Canada Russia Series, was selected as the second pick in back-to-back Silvertips selections in the third round of last summer’s NHL Entry Draft, selected in the third round (93rd overall) by the Washington Capitals. Last season, he completed his third season with the Silvertips helping guide the club to their second Western Conference title and sixth U.S. Division championship with career highs in goals (25), assists (28), points (53) and plus-minus (+22) in 68 games. He went 52.4 percent at the face-off circle (715 of 1,364) and his five game winning goals were tied for fourth on the Silvertips. Sutter has 137 points, 60 goals, 137 penalty minutes, and a +38 rating in 204 career WHL games, all as a Silvertip. His father, Ron, also skated in the WHL with Lethbridge and competed for 19 seasons as a forward and two-year captain in the National Hockey League with Philadelphia, St. Louis, Quebec, Boston, Phoenix, San Jose, Calgary and the New York Islanders. Sutter and the Bears open the Calder Cup Playoffs this Friday for Game 1 of the opening round at Bridgeport, 4:00 p.m. PT. Season ticket deposits for the 2019-20 season are accepted for just $50 at www.everettsilvertips.com/tickets. The Silvertips will host Select-A-Seat on Saturday, May 11, from 10:00am-5pm at Angel of the Winds Arena for new and renewing Season Ticket and Mini Plan holders. Details are available at www.everettsilvertips.com/selectaseat.